This event took place at 04:00PM on 20th September 2016. A staged concert of the new musical about love, lust, loyalty and deceit in 1950s London featuring the songs of MTV Music Award winner Caro Emerald starring TV’s Jonny Labey (Eastenders). It’s 1957, and Chas puts his best friend Rick to the test when he suggests a wager, based upon winning the favours of Rosa, the singing star at London’s famous cabaret club, The Flamingo. When the wager backfires, Rick faces a dilemma. His pride and his position among his peer group forces him to take a course of action in total conflict with his desires. Featuring the songs of MTV Music Award winner Caro Emerald, “That Man” will preview in two special staged concert performances for one night only. 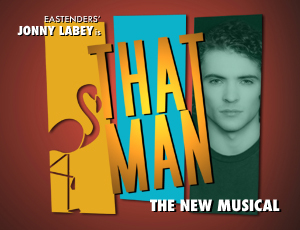 The show will star Jonny Labey recently seen as Paul Coker in Eastenders as That Man. Written by Wendy Gill, directed by award winning director Paul Boyd (“Molly Wobbly”), with musical direction by Iain Vince-Gatt. ** Please note VIP tickets include a show poster and post show reception.